Privatbankar. hu’s Fintech Innovation 2017 Conference concentrates on the most recent events of the financial innovation market and intends to prepare financial professionals to take part to have an active role in changes started on the international and Hungarian payment services markets. Just like a year ago PSD2 and instant payments dominate not only the Hungarian payment market but the European as well. By this reason we keep on concentrating on these two topics but we have involved new presenters to give a broader picture to the participants. Those who come will have the possibility to listen to a presentation of a genuine Silicon Valley fintech company about open banking while the development director of the company overlooking the British Faster Payments Service will give some practical advice to the market participants. We wanted to have the opinion of bank managers, IT specialists on the running questions. They are on the users’ side in this respect we, therefor, have invited them to partcipate better in the two, hopefully very lively round table discussions to give their opinions, how they see their own and the whole market’s possibilities. 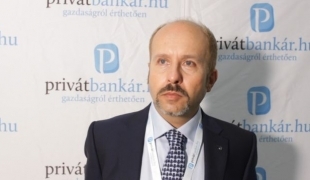 We propose to take part in the third Fintech Innovation Conference of Privatbankar.hu to such managers and professional of banks and innnovative financial service companies who want to receive first hand information about the recent events of payment markets. We also wait representatives of IT and telecommunication companies without whom these changes cannot be realized. Along with the presentation of trends and future regulations we wish to present new and innovative solutions on the basis of which new services can be built up. We want the conference to be also an excellent networking possibility for the participants where everyone can meet professionals of the leading companies which determine also the future of market development. You can register also via e-mail - plese send your application to konferencia@privatbankar.hu! A vállalatok azonnali fizetést akarnak - mit válaszolnak a bankok? Nyílnak a bankok: sosem volt még ennyire jó a magyar ügyfeleknek? Kapaszkodj! Januárban összedőlhet az európai pénzpiac?